Redemption looks like Justice. Redemption looks like Mercy. It is not one or the other. I have a strong desire to paint God in my own image, and that image may depend upon the kind of day I’m having. It reminds me of the advise we often give young people who are trying to make new friends in a new place. “Just be yourself.” is the mantra, and probably urged more powerfully today in our culture of me than ever before. God does just that as He reaches out to me, but often I’m too busy trying to get Him to be the God I want that I am unable to see the God He is. Thankfully that does not stop Him. It only limits me from experiencing the redemption that God offers. God looks down at my life like a glass of water. Is it full? Is it empty? Will I let Him have it, not knowing for sure what He will do with it? If I come from a perspective of abundance, I might be more likely to let Him because I know I have plenty I can lose and still be ok. 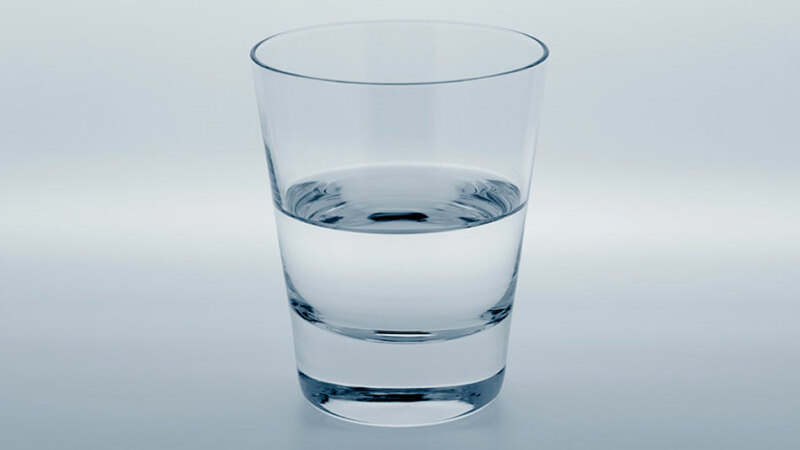 Whereas if I look at my glass as half empty, fearing scarcity, worrying that this might be the only water I will ever get – I may be more protective of that water. Maybe. Common sense says this is how it should all work. More and more stories I read and hear show a different angle though. It seems every bit as often that the more we have, the more protective we become of it (whatever your ‘it’ may be). Those who have nothing to lose can be every bit as generous as those who have everything they need. In the end, I think we all find ourselves in the struggle to trust God to take care of us. That is what Isaiah saw… the promise made true. God remaking the world in His image, instead of being twisted by our own desires. There is peace between all creatures. No one dies too young. Nothing harms anything else. Even the lions become vegetarians in this place. But did you catch the last creature mentioned? The serpent alone is picked out and made to eat dust. I’m sure this is not just a prejudice against snakes. I expect it is a reference to Genesis 3 where the serpent existed in another paradise and tempted Adam and Eve into sin – failing God and their responsibilities in the garden. So there is another serpent in this paradise as well, but it alone seems to live under that curse that it brought upon creation. There is mercy in that it is allowed to live there, but there is justice in that it has been defanged and will not harm anyone ever again. I believe there is a reality beyond simple optimism or pessimism and that this reality is created by and redeemed by God. Our foolishness to doubt God’s provision or to squander his gift, either way, shows a lack of faith in God. It is not about just staying positive. It is about being willing to surrender it all to God whether we believe we have little or a lot. Where are you being challenged to trust God today?